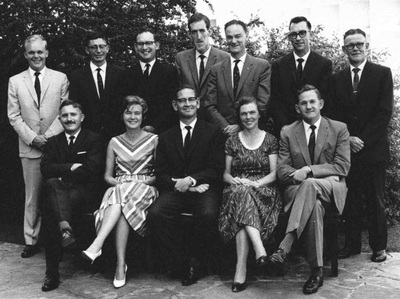 On 2 February 1960 the first organisation, SA Association of Medical Physicists, was established in Cape Town. Eight of the founding members are shown in the picture, (f.l.t.r) PD Hartzen, PC Minnaar, PLM le Roux (chairman), DJ Savage (secretary), PM Johnson, HJ Wasserman, ML du Preez and EJ van der Merwe. ELPP de Valencé was not present. In 1968 the association was expanded to include health physicists and the SAAPMB was born. Today the oraganisation has national and international associations (refer to useful links). As it is the aim of the SAAPMB to promote the professions of Physicis﻿ts, Radiation Protection Scientists and Radiobiologists annual congresses are held at different venues accross South Africa where members present their research. These meetings started in 1960 and the ﻿53rd Annual SAAPMB﻿ meeting is taking place in 2015 in Bloemfontein. 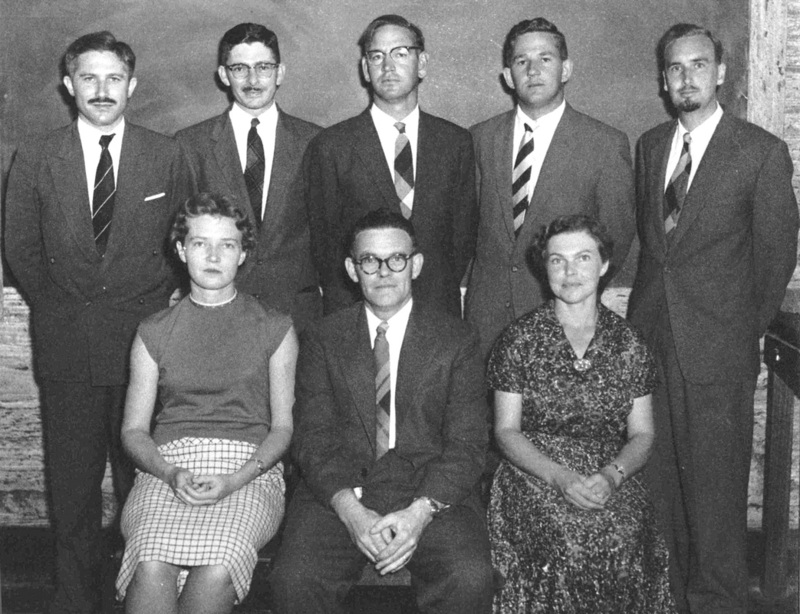 Since 1973 international speakers were invited to attenend, present and teach at these meetings, with scientific schools before or after the SAAPMB meetings. In 2007 there were 56 practising registered Medical Physicists who were members of the SAAPMB. This increased to 153 members in 2014. Medical Physics is defined as the use of physics principles in clinical medicine. After the discovery of ionising radiation in the 1800’s, the profession has developed worldwide. A Medical Physicist works in fields using physics in diagnostic radiology and nuclear medicine medical imaging and in radiotherapy. Medical Physicists are also responsible for radiation protection and safety in the work place. Private and state sectors in South Africa offer employment for Medical Physicists, who are involved in training and research in these departments. Registration with professional boards is required and until 1972 Medical Physicists were registered by the Atomic Energy Board (AEB). Registration was then taken on by the SA Medical and Dental Council (SAMDC). Currently the Health Professions Council of South Africa (HPCSA) registers Medical Physicists for clinical practise. Medical Physicists were initially employed by the four former Provincial Administrators and were involved in ionising radiation therapy and imaging. In the radiotherapy field significant advancements were made. 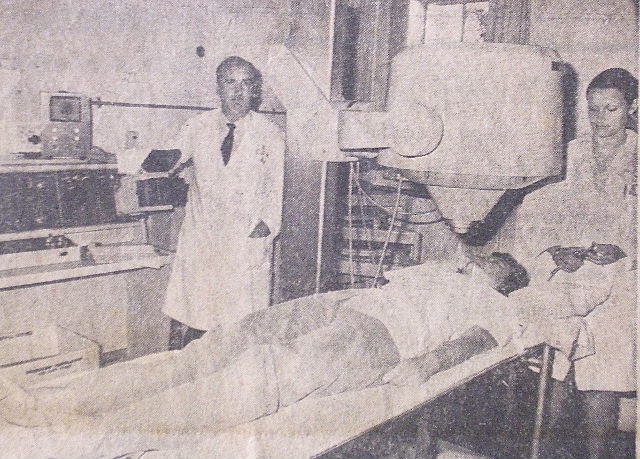 Co-60 therapy and later linear accelerators (linacs) replaced x-ray units and Ra-226 inserts for example. Today linacs provide specialised 3-D treatments with high energy photon and electron beams. Cyclotrons produce high energy proton and neutron beams and treatment planning systems, immobilisation devices and patient supportive care in a multi-disciplinary team has improved tremendously. In nuclear medicine modern SPECT/CT and PET/CT scanners replaced simple counting equipment. 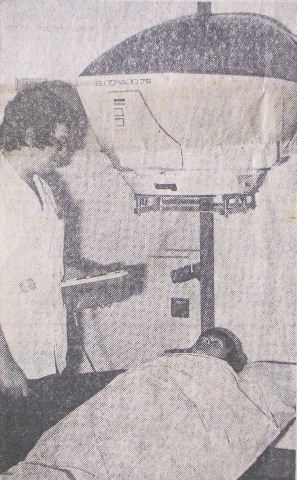 Film-screen radiology was replaced by digital imaging systems, like CR. With these changes the role of the Medical Physicist changed, from development and application to quality assurance and optimisation. More focus is also now placed on research and continuous professional development (CPD).